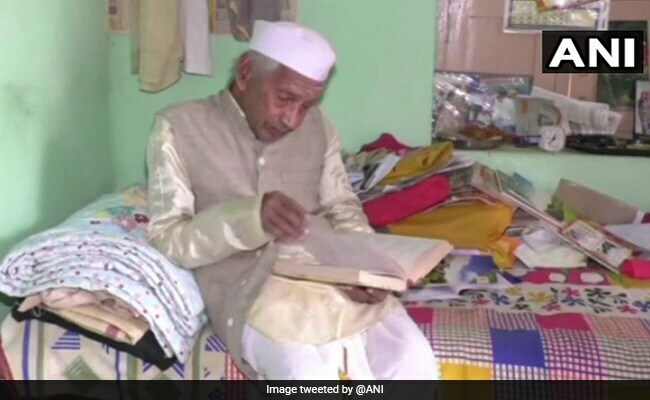 The 89-year-old also holds a degree in law and master's degree from Karnataka University in Dharwad and Hampi Kannada University (Kannada University). SharanabasavarajBisarahalli also plans to write a book on literature and Kannada poems. A freedom fighter in Karnataka's Koppal is setting an example for all those people who had to leave their education incomplete. Sharanabasavaraj Bisarahalli aspires to complete his Doctor of Philosophy (PhD) degree at the age of 89. "I had attempted the exam last year as well, but failed. This time, it went well and I am confident of clearing the exam," he said. Mr Bisarahalli also plans to write a book on literature and Kannada poems.